Essential oils to give your toothpaste flavor and add additional therapeutic benefits. Erythritol, xylitol, or stevia (optional), which are salt natural sweeteners. 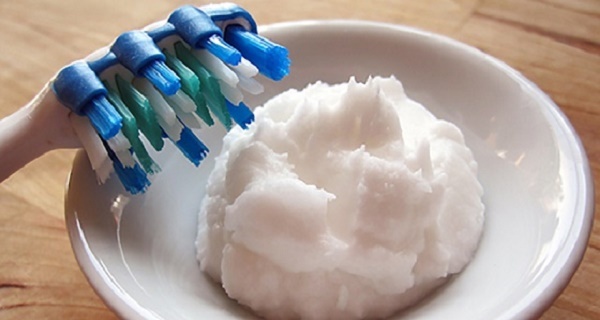 Xylitol, in particular, has been linked to reductions in cavities.7 However, if you plan to give this toothpaste to your dog, do not include xylitol, as it is toxic to dogs. Swallowing fluoride, as is the case with fluoridated drinking water, is especially detrimental to your health, as the science clearly demonstrates that fluoride is a toxic chemical that accumulates in your tissues over time, wreaks havoc with enzymes, and produces a number of serious adverse health effects, including neurological and endocrine dysfunction. Finally, remember that nature provides many natural solutions to freshen your breath. Chewing on fresh parsley, mint, cilantro, or ginger slices is a natural breath freshener, for instance. Placing a cucumber slice on the roof of your mouth may also help to rid your mouth of odor-causing bacteria. According to the principles of Ayurveda, eating cucumbers may also help to release excess heat in your stomach, which is said to be a primary cause of bad breath.